CINCINNATI, Ohio – Deer Park Jr./Sr. 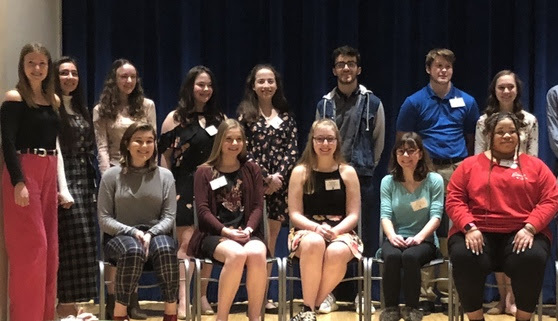 High School sophomore, Hailey Fisk, was honored Wednesday night at the Mount St. Joseph University’s 23rd Annual Writing contest, finishing in the top 3 of the Poetry category out of 60 entries from high school students across the Greater Cincinnati area. The 60 entries in the poetry category were the most in the contest’s 23-year history. Hailey was rewarded with a $50 prize for her honorable mention finish. On Wednesday night, Fisk appeared at Mount St. Joseph University to accept her award and to read her poem among all of the award recipients. Contestants were all sophomores and entries had to be submitted through their high school English teacher. Mrs. Suzy Beck, 10th grade English teacher at Deer Park Jr./Sr. High School, submitted Hailey’s poem. 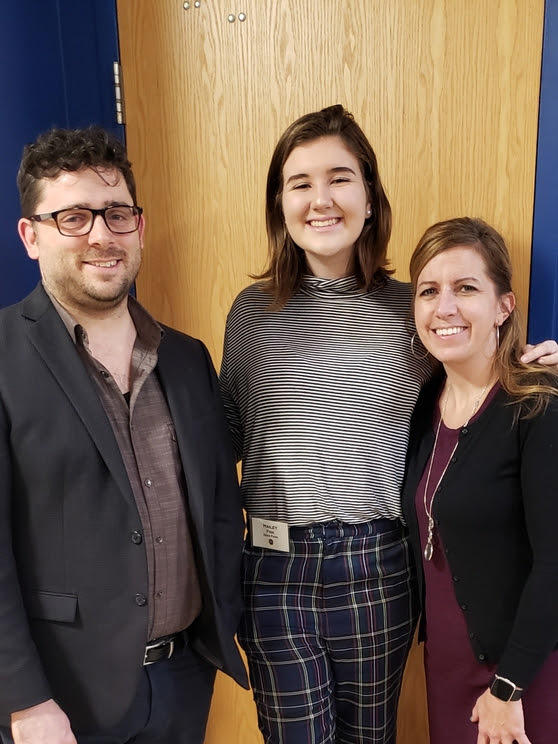 Fisk was one of six Deer Park students to submit original works in one of three categories, including poetry, fiction and personal essay. Earlier this year, Hailey organized a bake sale to raise money for a local Deer Park family who has been facing some very difficult times. Hailey said she plans to donate her winnings from the writing contest to the same cause. Congratulations to Hailey on this tremendous accomplishment and THANK YOU for representing Deer Park in so many positive ways! You can read Hailey’s winning poem below. But does crowning truth to his charming eyes. His eyes, the hue on the spectrum of the horizon where the meadow brushes against the skyline. His voice soft as velvety honey, and absent of all hatred. He dreams of a world where love and peace are prominent. He will never be fearful of what is yet to come, nor worry what has already happened. He is a beam of light on the darkest days and the roots grown from the most tenacious of trees. For it is never glass-half-empty, always glass-half-full.